Still in Mortain, confreres who came to visit were surprised by the mutual trust that reigned between the director and his students, and by the initiatives this allowed him to leave up to them: such is the fruit of a “very human government”. Though human, he was also firm when his students’ liberal ideas or their democratic illusions needed correcting. In Dakar, he was “the man of smiling calm and infinite kindness,” with a deep respect for people and the options and initiatives of others, but he knew how to act firmly and uncompromisingly when principles were at stake. 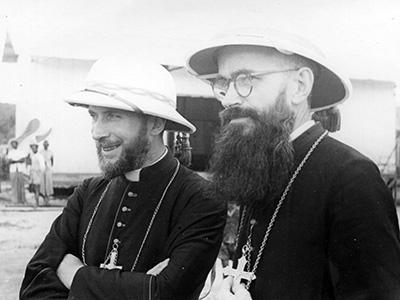 In Dakar, a militant for the Cite Catholique saw in Archbishop Lefebvre “an intelligence far superior to that of the ordinary clergy” and a man who was “very observant of the political world.” The prelate was familiar with the counter-revolutionary, or rather Catholic, political position that was being developed at the time by Leon de Poncins, Jacques Ploncard d’Assac and Jean Madiran, from whom he received the magazine Itineraires. “We call him the ‘iron hand in a velvet glove’. He never gives up. He has a line of conduct planned out and he organizes.” He commanded without seeming to; he was full of authority, but an authority that was not burdensome. 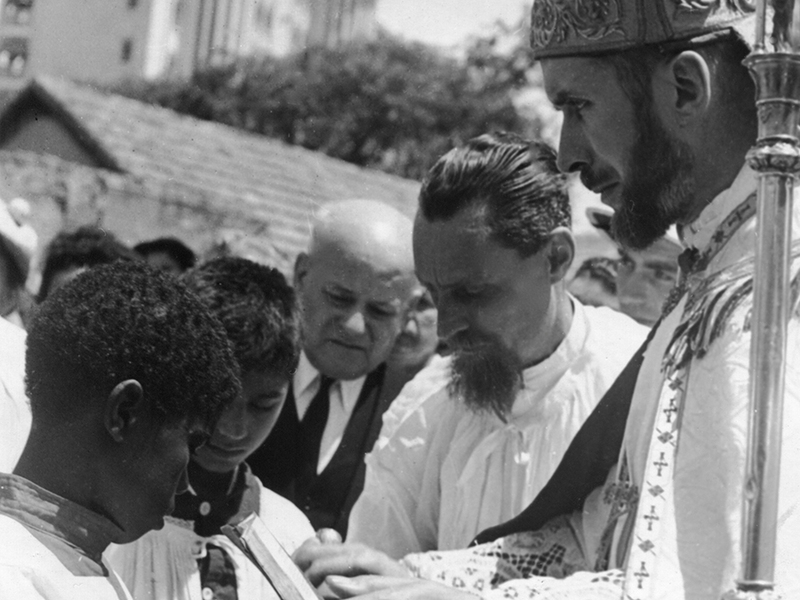 He was open to his missionaries’ initiatives and he supported them. When he did not explain his reasons, he calmly repeated the order and one had no choice but to obey. This skill in government was very effective. And he trusted; that was his byword. 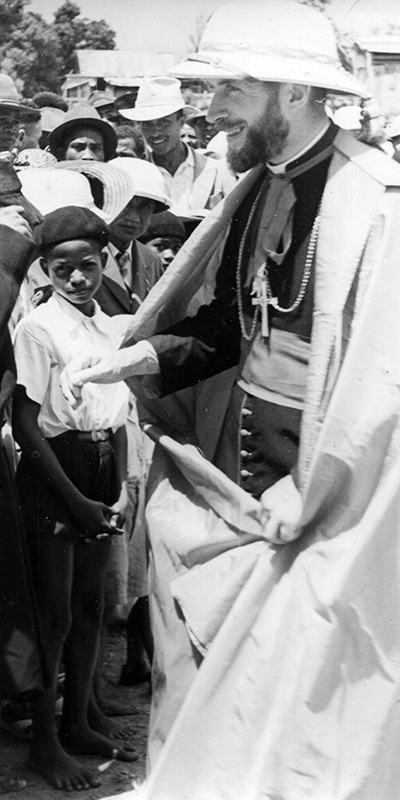 Archbishop Marcel Lefebvre carried out his ministry with simplicity and affability. "The third function of the priest is to govern souls, that is to say, to find every possible way of bringing them to Heaven. His role is to save souls. To do so, he has to guide them, show them the path. Our Lord said that He was the Way: 'I am the Way, the Truth and the Life.'"